Welcome to Green Living Paradise Brought to You By HGTV! Each year the HGTV Dream Home somehow beats the previous year for style and green living design and this year is no exception as they sweeten the winnings with $500,000 and a new car..which should have been a +Ford Motor Company Fusion IMO. For 16 years, HGTV has been giving away a brand new, custom-built dream home to one lucky winner and this year, southern living comes into the spotlight as the laid back, green living traditions of the South are highlighted in the HGTV Dream Home 2013. This year, the network brings its green design and expertise to Kiawah Island, near Charleston, South Carolina, with a home so green, it earns a Platinum LEED certification. Custom drainage swales help to capture runoff from the roof. 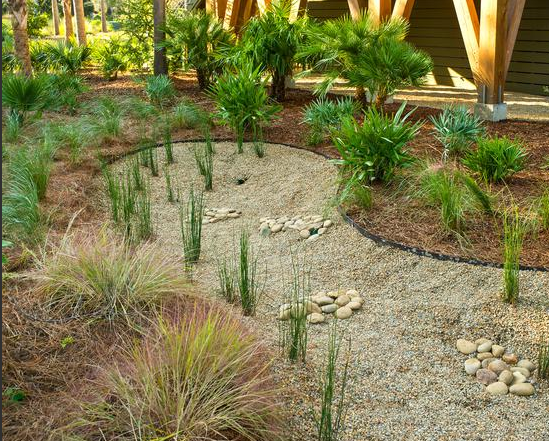 Water-loving plants such as gregia, scouring and horsetail rushes, and southern wood fern will help absorb the water. 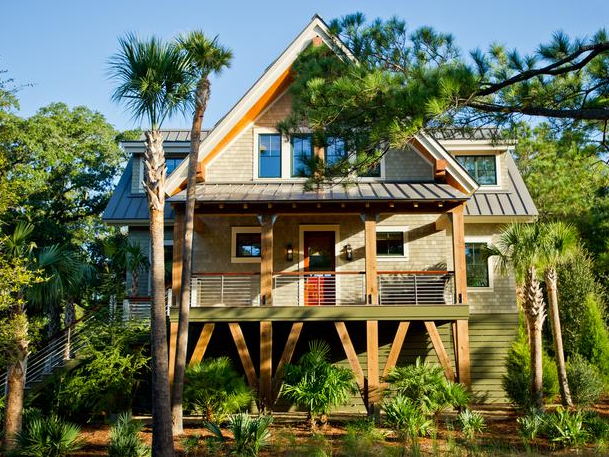 Using locally sourced building materials, including Southern yellow pine, contribute to HGTV Dream Home 2013's LEED certification. The three-story home is part of the Indigo Village green-living neighborhood so you know your neighbors will be on board with the sustainable lifestyle. Bonus! Village Green is a neighborhood that will feature 16 homes nestled along a verdant marsh and is the first aspiring community to feature all Platinum LEED® Certified homes within a luxury resort. German-manufactured cabinetry clads both the nearly 8-foot-long island and a unit that houses the refrigerator and pantry-style storage bins. 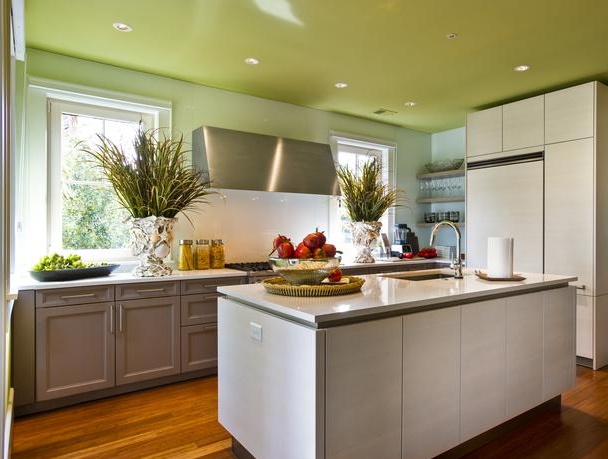 Ecru pine complements both countertops and stainless steel fixtures. 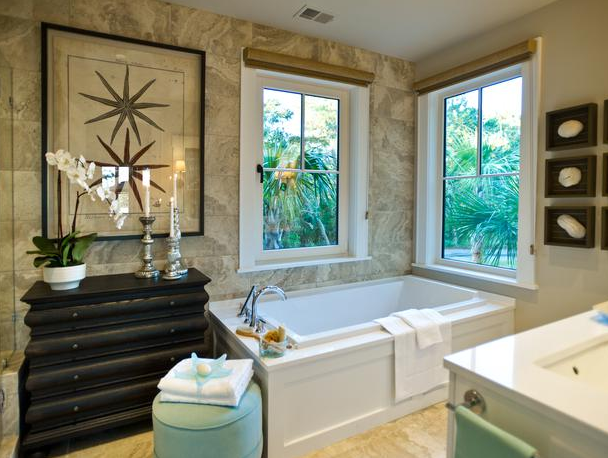 A nearly 2-foot-deep soaking tub tucked under two picture windows offers a spa-style bathing experience. The zen like home, offers quite sophistication and is designed to compliment the home's coastal location with it's chosen color palette and design. The HGTV 2013 green, dream home boasts a streamlined kitchen with bamboo flooring, a master bathroom suite with a nearly two-foot deep soaking tub (YUMMY!! ), an outdoor shower (YUMMIER!! 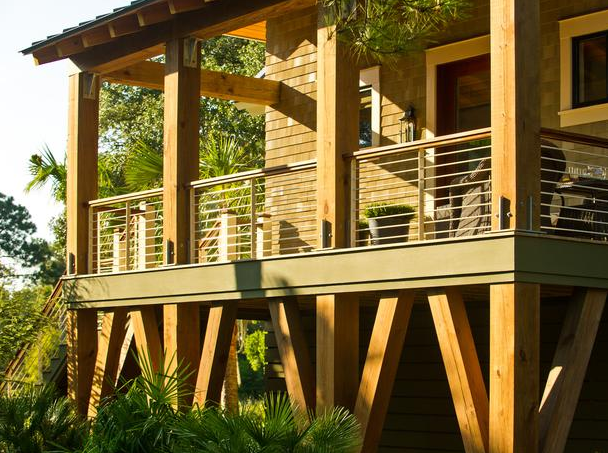 ), and an inviting, private deck just off of the master bedroom built from sustainable hardwood. A canopy poster bed, fashioned from mindi wood with Parson-style posts and a horizontal planked headboard, serves as the room's focal — and jumping off — point for the room's design sensibility. 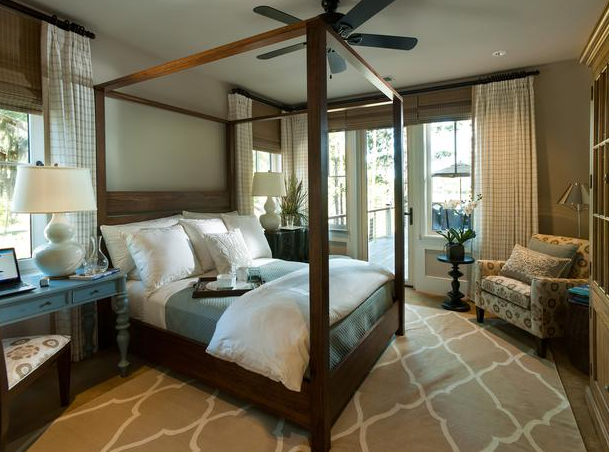 You can get tons more images and videos of the Dream Home and enter to win at HGTV's website. Good luck greenie! !